Quantum meruit (Latin derivation: “as much as he deserved”) has repeatedly saved the day in situations where my client has performed services for a defendant but there is a contractual defect (such as missing price terms or an unclear completion date)that makes suing under a breach of contract impossible. Time and again, quantum meruit has proved to be a valuable fallback or “Plan B” to a failed breach of express contract claim. The remedy has ensured that my client at least gets something in situations where it would normally get nothing. 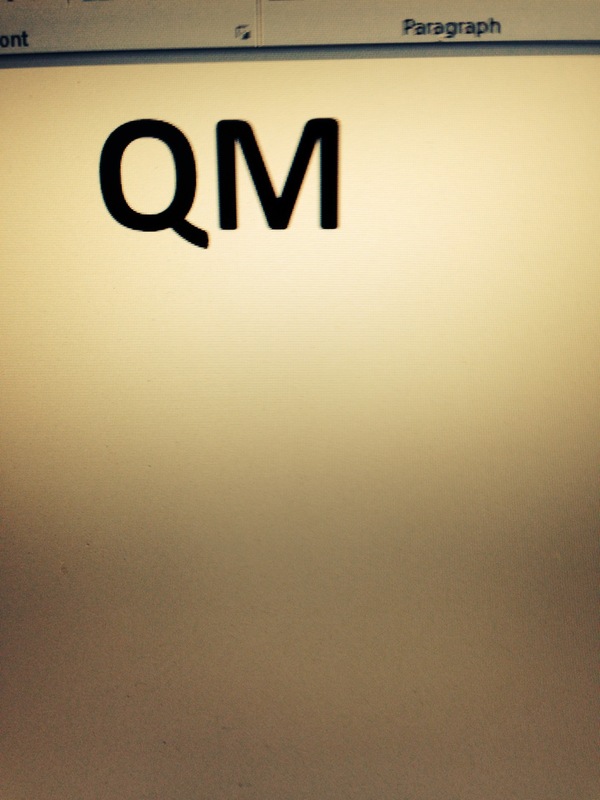 I’ve found quantum meruit to be especially useful in view of the realities of modern-day business transactions. In my experience, it seems that contracts are often entered into by people (usually non-lawyers) who are bound and determined to get a deal done. No matter what. This single-mindedness of purpose often results in a myopic focus on finalizing the agreement instead of a meaningful consideration of a deal’s details or the possible consequences that could flow from a future breach. It’s no surprise then, that key contract terms are often omitted, agreements aren’t signed, or are signed by the wrong parties. Bernstein and Grazian, P.C. v. Grazian and Volpe, P.C., 402 Ill.App.3d 961 (1st Dist. 2010) provides a good summary of quantum meruit’s pleading and proof elements. The case is a partnership dispute between two law firms fighting over – what else? – fees. The plaintiffs (a dissolved law firm and representative of a deceased partner of that firm) filed suit for monetary and injunctive relief against defendants, two former law partners of the plaintiff firm and those partners’ current firm. The trial court ruled against plaintiffs on breach of fiduciary duty and breach of contract claims but entered judgment for plaintiffs on a quantum meruit theory – awarding them 10% of the attorneys’ fees collected on open files which defendants’ firm assumed after plaintiff firm’s dissolution. Id. at 965-966. The First District reversed. It held that there was insufficient evidence for the court to award 10% of attorneys’ fees earned on all pending cases which were formerly plaintiff’s (and were now defendants’ cases). Volpe, 402 Ill.App.3d at 980. The black letter quantum meruit elements: (1) plaintiff performed a service to benefit the defendant; (2) he did not perform the service gratuitously; (3) defendant accepted plaintiff’s service; and (4) no contract existed to prescribe payment for this service. The quantum meruit plaintiff has the burden of proving that valuable services were rendered by him, that the services were received by defendant, and the circumstances are such that it would be unjust to allow the defendant to retain the benefits of plaintiff’s services. The measure of quantum meruit recovery is the “reasonable value of work” and the plaintiff must show that its uncompensated services were of measurable benefit to defendant. Volpe, 402 Ill.App.3d at 979. The Court held that while defendants did benefit from plaintiff’s legal services, plaintiff failed to offer sufficient evidence to substantiate the trial court’s quantum meruit award. Id. at 979-80. The plaintiff didn’t offer the court any basis to quantify the value of the plaintiff’s services. As a result, the plaintiffs ended up with nothing. Conclusion – I always file quantum meruit as an alternative claim to a breach of contract claim. Illinois Code Sections 2-604 and 2-613 permit alternative pleading. This does two things: (1) it ensures that my client at least gets something in the event of a contract defect or if my client is in breach; and (2) it mitigates the all-or-nothing nature of only proceeding on a breach of contract theory. When pleading quantum meruit, I also make sure I don’t incorporate by reference my breach of contract allegations. By definition, quantum meruit can’t co-exist with a breach of express contract claim. Some firms love (and I do mean love) to file motions to strike complaints on this basis. The Volpe case ( and others like it) shows that a quantum meruit plaintiff must do more than simply allege that he benefitted a defendant. Instead, the plaintiff must produce competent evidence that quantifies the monetary value of plaintiff’s services. Next Next post: Oral Contracts in Illinois – Are they Enforceable?